A brief video about the creation of Andrew Rogers’ Circles geoglyphs in the Altiplano near the Cerro Rico Mountains of Bolivia. In Bolivia, there are three stone geoglyphs reaching an altitude of 4,360 meters. They are located six kilometres apart and are visible from one another due to the clear atmosphere at this altitude. 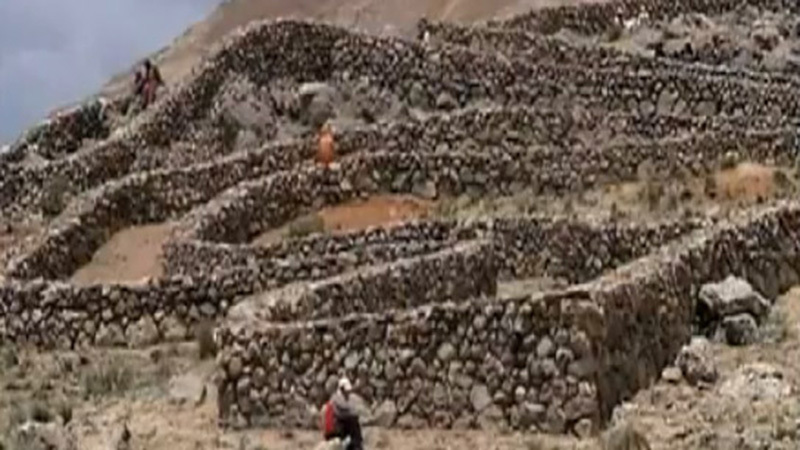 These geoglyphs were constructed with the help of 800 workers, most in traditional dress.